With traditional Acoustic Air Audio tubes there are many moving parts equating to more vulnerability, more wear and tear and shorter life span. Sound can diminish or not be heard at all due to impurities or sound bubbles created inside the tube. Another issue is the clear tube discoloring usually truing an ugly yellow. Micro Sound is the first of its kind to incorporate a tiny speaker driver into our patent pending Fin Ultra™ Ambi dual sided flex eartip. Not only do you get the benefit of ear option wear but you will receive clear crisp audio directly to the ear without sacrificing sound loss. From the tip of the connector all the way to the driver is one complete unit. No moving parts or sound loss, just clean audio from the source all the way to your ear. The speaker drive puts out 1350 Ohms providing enough output for high power radios with very little distortion. Sound quality is one thing but if you are suffering from ear fatigue the sound will not make much difference. All day comfort is paramount in the professional market. The Fin Ultra™ Ambi is the only dual sided ear tip on the market today. One tip provides comfort for either left or right ear. 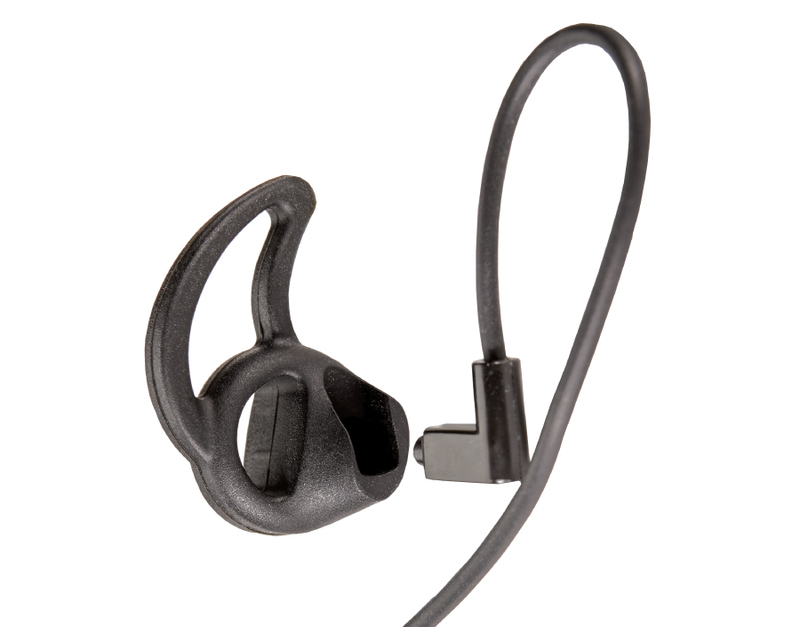 The Ambi ear tip protects the user ear with the dual sided cones. The cones prevent the speaker from entering the ear canal. With the soft silicone gel material and open skeleton design the user can hear ambient sound and the sound source with no obstructions. The replaceable Ambi ear tip comes in small, medium and large to accommodate most ears. With two color choices Translucent and Black it’s easy to accessorize with ones uniform. Look for the MICROSOUND in retail stores and websites in February, 2018. Visit our web site to view all of our breakthrough tactical communication accessories at www.earphoneconnect.com.